Management development programs exist in forward thinking organizations. Leaders who value professional growth often require a management training needs assessment to be completed no less than once per year for all members of management. Successful organization realize that quality leadership requires constant effort toward growth and professional development. A systematic and ongoing assessment of current and future management training needs within the organization provides a foundation from which to plan, budget, direct, and evaluate an effective management training program. The training needs and management style of individual employees should be assessed within the context of the organization’s strategic goals and to support employee performance and development. If you are the leader, do not assume you know what type of training is needed for your group of managers. Don't make the common mistake of thinking that one kind of training is the best for all your team members. Training needs are often different for each individual. By having your team members complete a training-needs assessment, you can learn more about your employees and make a more thoughtful decision on what form of training is needed within your group. We have provided a free management training needs assessment tool for your convenience. This assessment tool should be used in cooperation between management and their respective employees. "Not knowing where to begin is a common form of paralysis. Managers can begin to develop by assessing their existing skill-set starting right here." A training needs assessment for an organization should be closely aligned the company’s performance objectives. Training dollars are limited, so you must emphasize the importance of strategically planning how those dollars can most effectively meet the needs of the organization, while also providing high impact tools and resources for your employees. Training is considered cost-effective when the company can be expected to gain more value from the training than the cost of providing the training. For example, assuming increased sales equates to higher profits, consider how many additional sales can be made by providing your managers with quality sales management training. As the leader you must also commit to coaching your managers to ensure they leverage the training they received. If they aren't held accountable for using the skills they learn, then you will be effectively wasting the company's money. The management training needs that are identified for your team will no doubt come with a price tag. As the leader, you need to plan on two levels in assessing management development needs: Organizational and Individual. While there is always a degree of subjectivity used when determining the value to the organization of any particular training investment. However, in order to ensure a thoughtful decision is made, we've provided six important steps that should be taken. Step Six - Conduct a cost/benefit analysis or business case for selected approach to meet the needs of your team and the organization. "It is through a genuine effort for personal development that the full potential of the individual and the entire human race can be realized. It's easy for a business owner to undervalue training. Often training resources are costly and there is never a guarantee that once the training is provided the employee will remain with the company. However, we encourage leaders to take a different view. While there is never a guarantee employees will remain at an organization after being the beneficiary of the training resources provided, the fact that your company does provide quality training will no doubt attract good candidates seeking employment opportunities. "No matter how poor you may be or how humble your environment, always keep looking upward. Never be afraid to aim high." 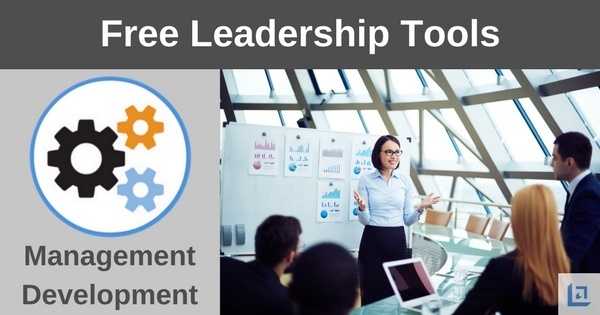 Use our free Management Development Needs Assessment tool to identify how to improve the management skills of the leaders in your company. To download our free Management Development Assessment tool, simply subscribe to our free newsletter. You will immediately receive a password that grants access to our entire leadership tools library.